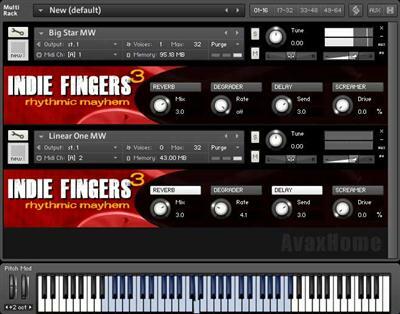 Welcome to the next evolution of our Indie Fingers Guitar Sample Libraries line: Indie Fingers Volume Three - Rhythmic Mayhem. Indie Fingers Volume Three: Rhythmic Mayhem is the brand new library featuring Fully playable electric guitar Rhythmic Patterns and Figures. All multisampled to keep the most authentic tone in all the range.